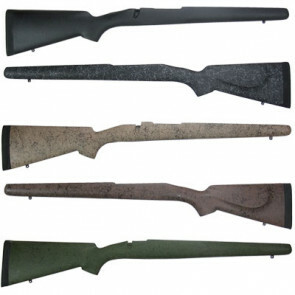 Great replacement stock for Remington 700™ BDL, Winchester® 70, Weatherby® and Browning® Abolt models. As with all Medalists, Uncle Mikes™ swivel studs are included as is the beautifully fitted Pachmayr® brand Decelerator® recoil pad, arguably the best pad and studs money can buy. Bell and Carlson's Ultralight stocks for Browning® A-Bolt and Winchester® 70 feature a full-length aluminum bedding system and Pachmayr Decelerator recoil pad. 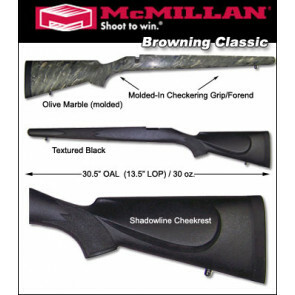 The Browning Hunter is a copy of a factory Sako design. It has a Monte Carlo cheekpiece and a palm swell. It also has a small amount of cast off and cant, which makes for easier target acquisition. 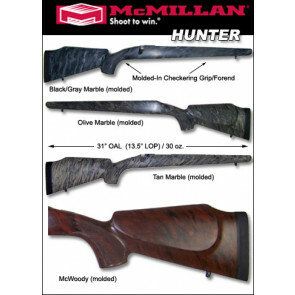 The forend of this stock is very narrow and will take up to a #4 barrel contour. 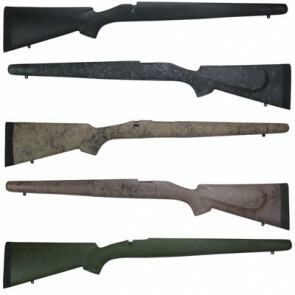 Because all of the stocks are filled solid and then inletted using computerized CNC machining centers, each stock is made specifically either for the A-Bolt, the BBR, or the Browning Safari. 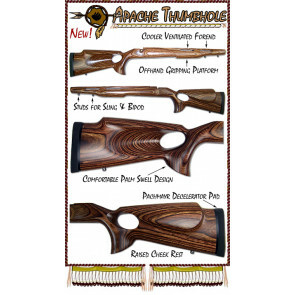 To guarantee the fit of completely finished stocks, the barreled action must be sent in. Available in right or left hand.